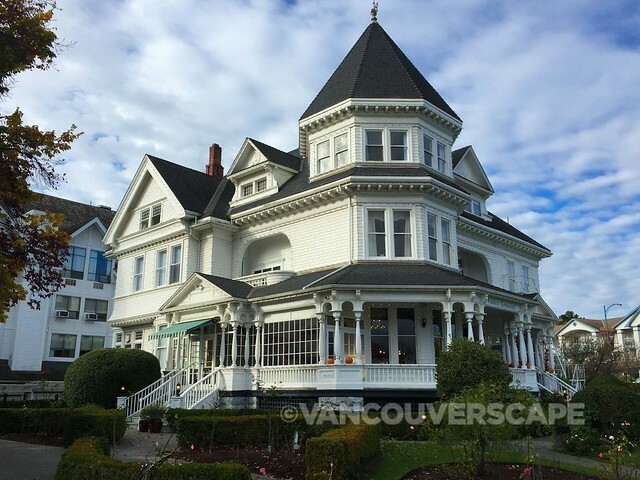 On a recent trip to Victoria, I popped into the Pendray Inn and Tea House, a beautiful Queen Anne Victorian boutique B&B to admire the lobby’s stately interior and decided then and there to keep this beautiful property in mind for a future visit. Long before it became a bed and breakfast, this mansion served as the family home of Cornwall, England native William Joseph Pendray and his family. Pendray emigrated to California in 1868, later making his way to British Columbia’s Cariboo region to work in the Mosquito Creek mines. 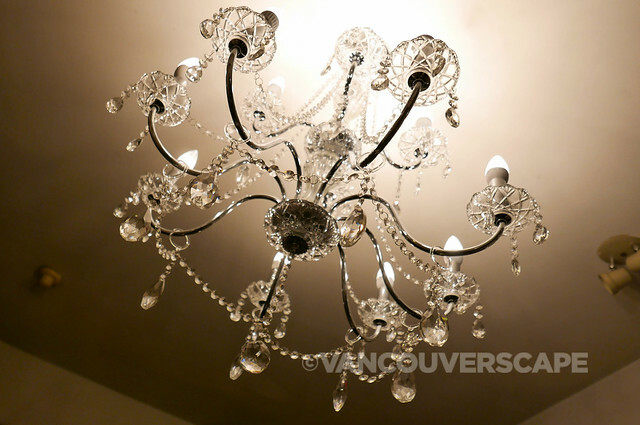 During his time in the mining industry, he made, lost, and re-made his fortune, eventually settling in Victoria where he focused on a new venture — soap. 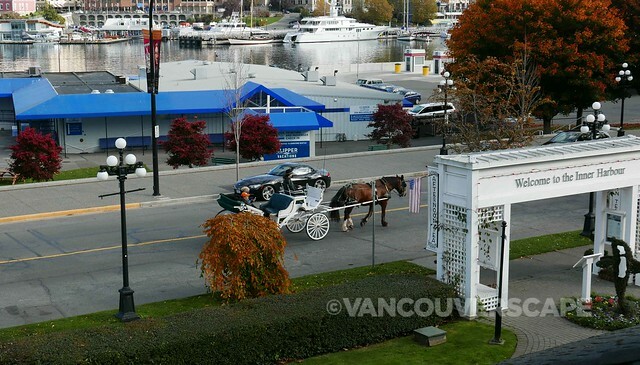 In 1890, Pendray purchased a plot of land on Belleville Street, overlooking the inner harbour. The family (William, wife Amelia and their four sons) lived in a small cottage located on the land (currently the Middle House) while they built a Queen Anne mansion beside it. Seven years later, the family moved into the finished mansion. With the help of his uncle, W. J. Jeffree, William acquired a soap factory on Humboldt Street and began producing cleaning bars and powders; White Swan Soap was one of its best-sellers. The business flourished to the point that he expanded operations to a much larger plant. Just after the turn of the century, Pendray sold his factory land to the Canadian Pacific Railway; the Empress Hotel was built on this land in 1908. In 1913, Pendray died in an accident during an inspection of his factory. Amelia continued to live in the mansion until her death in 1937; she lived to be 87. Two years later, the Pendray children sold the mansion. Soon after, it was bequeathed to the Missionary Sisters of Notre Dame des Anges, who turned the property into a boarding house for young women. 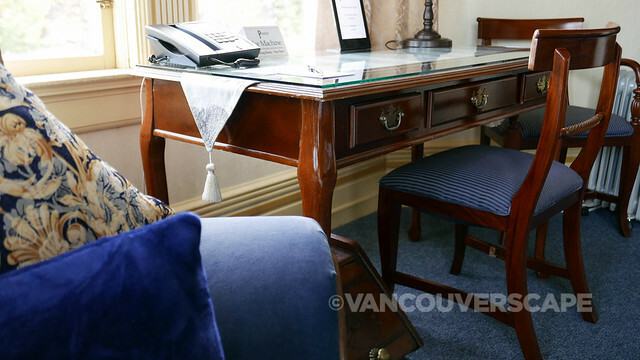 In the 1980’s, the Bellevue Street property was purchased and expanded with the construction of the Huntingdon Manor Hotel, styled after the finest Canadian Pacific Hotels. 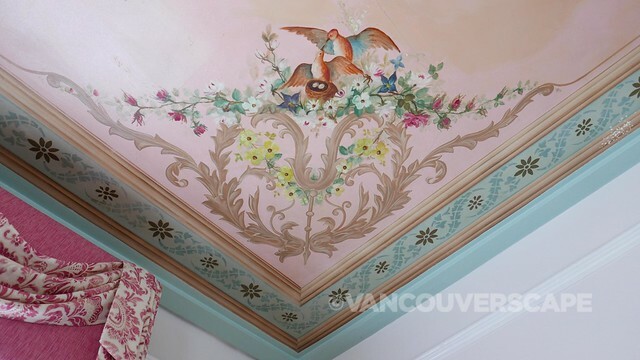 William Pendray appreciated the finer things in life, adding frescoes on the Pendray’s parlour, dining room and on two of its bedroom ceilings. He commissioned two German painters (Herr Sterns and Herr Muller) and spared no expense in sourcing stained glass panes from Venice (shipped in barrels of molasses!). 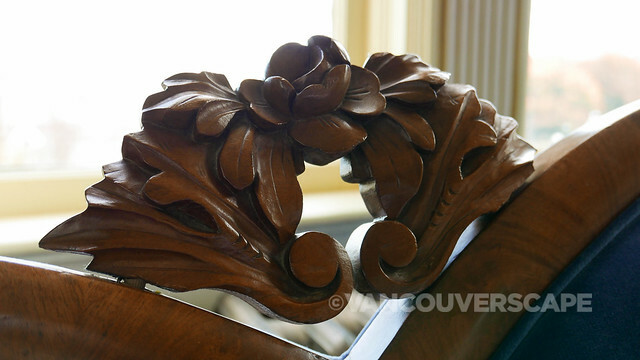 Everywhere you look, there’s details to take in, from the wooden staircase with a stained glass window containing Pendray’s monogram to a variety of beautiful chandeliers in the rooms and hallways. The nine rooms each have their own colour theme and distinctive look. I spent two nights in The Pendray Room, the inn’s namesake room. 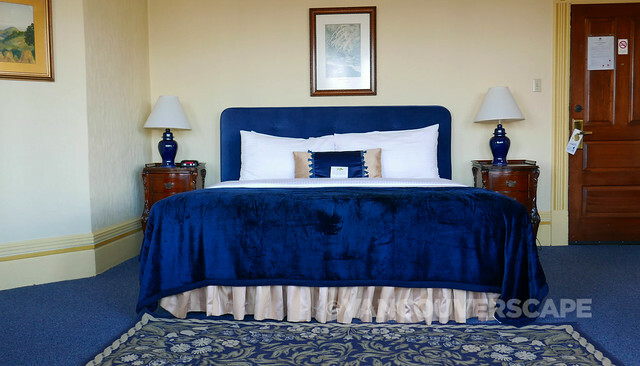 It’s a royal blue and gold treat, with a king bed that faces the harbour. A carved wooden love seat, coffee table and side table complete the atmosphere, while a glass-topped wooden desk with a hand-embroidered runner is placed right against the window taking in that same beautiful water view. Underneath the desk is a copper-knobbed, wooden shoe-shining box on display (it’s empty, good for storing a pair of shoes). The desk and box fit in so nicely together it’s no surprise the two were placed close to one another. 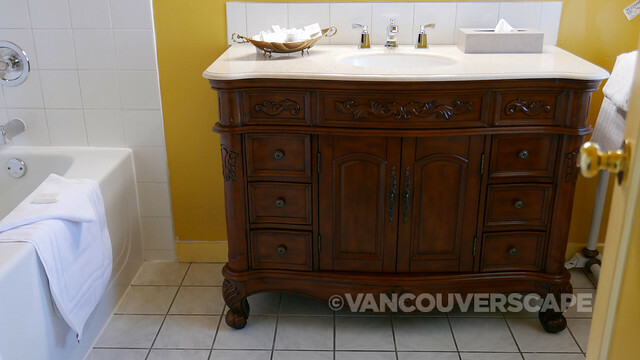 Bathrooms contain slippers and bathrobes along with a basket of Judith Jackson Spa amenities. Bergamot bath salts for the soaker tub are a nice added touch, particularly on the eve of a cold front. 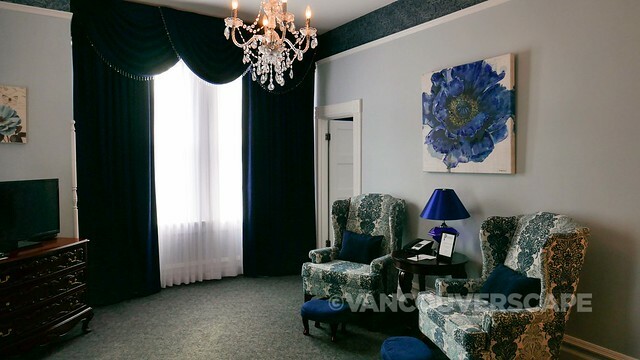 Original glass windows are decorated with lovely drapes and window finishing containing royal blue tassels; even the throw pillows and side tablecloth match in their decor. 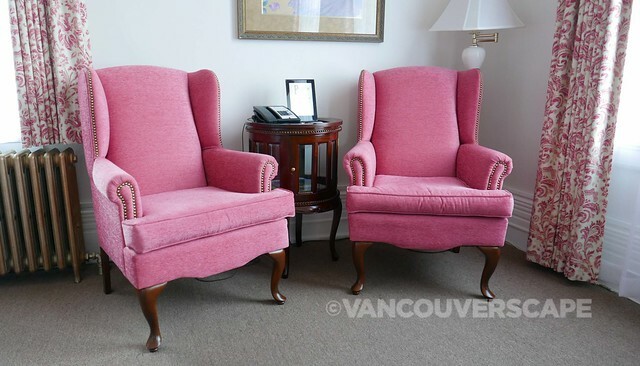 Everything about this room recalls the Victorian era and I’m hesitant to part with my cup of organic French press coffee and macaron, but this sunny Victoria Day is pulling me out for an afternoon stroll along the harbour. Each morning, the Pendray Tea House dining room greets guests with a three-tiered complimentary breakfast featuring locally-sourced items. 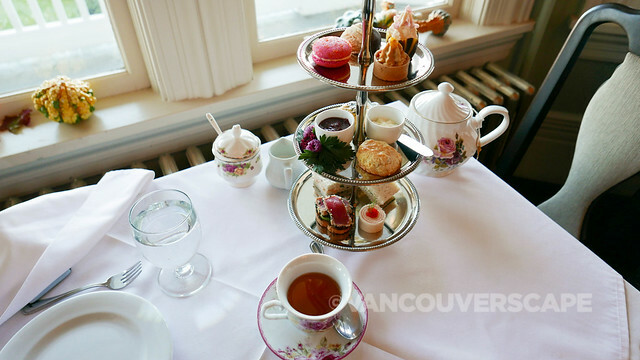 During my visit, I enjoy a little starter bowl of fresh berries and cream infused with TWG Tea’s Bain de Roses, followed by the tiered plate presentation containing artichoke and caramelized onion quiche, TWG Earl Grey scones with Devon-style cream and homemade strawberry jam, smoked salmon on toasted rye points, and turkey sausage. Bacon jam and Canadian maple syrup accompany it all, and I notice fine touches on the smoked salmon: caper gremolata and tiny bits of cured egg yolk. 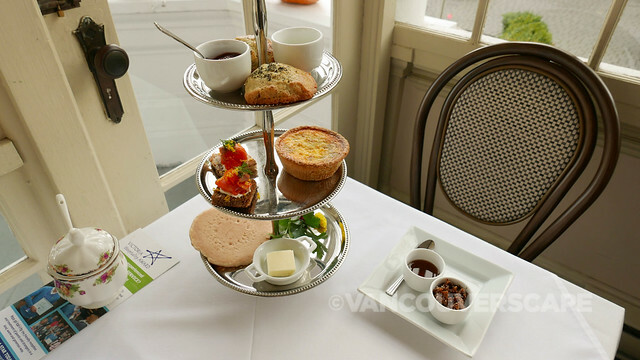 A selection of TWG teas and Victoria-based Oughtred Roasting Works coffee, winners of this year’s Roaster of the Year Award, round out this yummy gourmet breakfast. 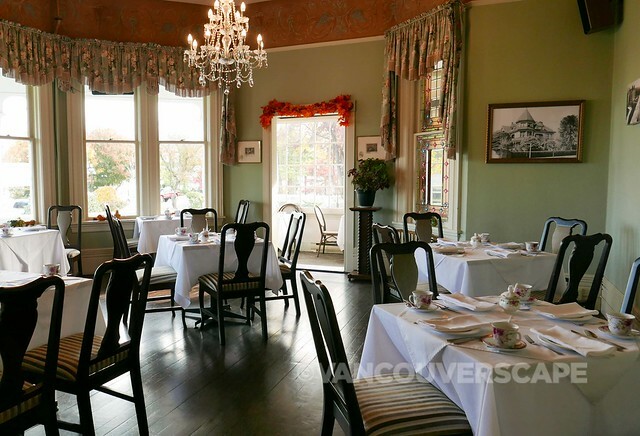 The Pendray’s antique furnishings, stained glass windows and period charm are ideal for enjoying afternoon tea here. There’s a little enclosed side porch off the main room for added coziness. This is a lovely spot to unwind in, whether or not you’re a guest of the Pendray or the adjacent Huntington Manor. 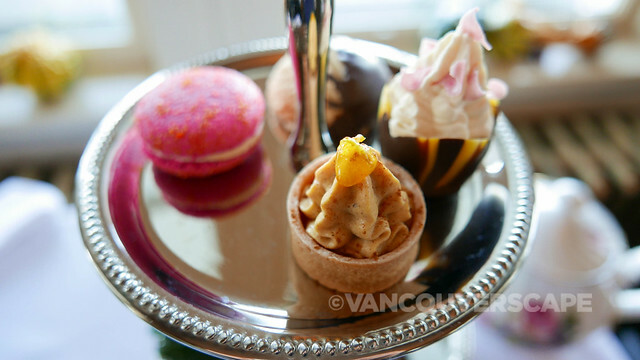 Teas and tea-infused scones by TWG Tea and macarons by Victoria’s Bon Macaron are but a couple of the highlights on the pretty tea service. I’m also treated to a decadent and gorgeous smoked salmon pinwheel topped with flying fish roe, cucumber with lemon-dill cream cheese sandwich, seared tuna, a pumpkin tartlet and a TWG Bain de Rose-infused cream filled chocolate tulip. There’s a couple of tea service choices as well as a la carte savoury and sweet trays to go with your pot of TWG tea. 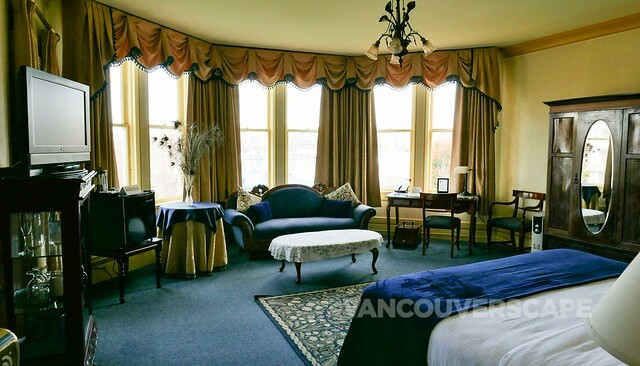 The Pendray Inn & Tea House (formerly Gatsby’s Mansion) is located at 309 Belleville Street in Victoria, BC. 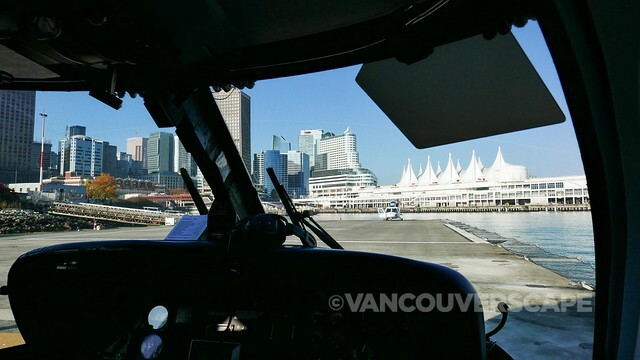 Helijet is a 35-minute ride from downtown Vancouver’s Waterfront Station to Victoria’s Inner Harbour. While en route, you’ll take in numerous camera-worthy views. 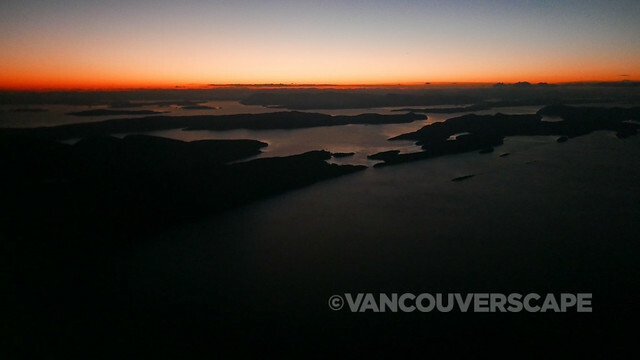 I never tire of flying above Stanley Park, the Gulf Islands, the San Juan Islands along the US/Canada border, plus mountains and cloud lines, often secretly wishing the flight was just a little bit longer. 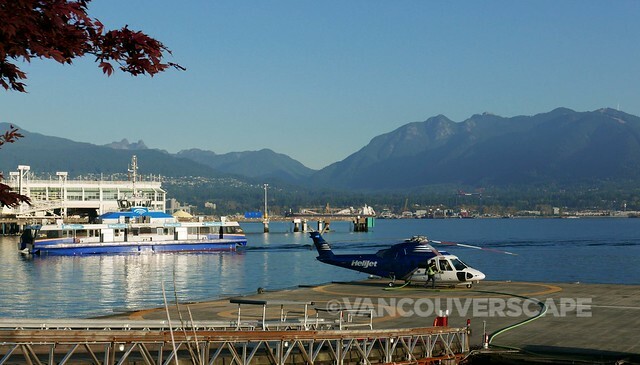 Once in Victoria, Helijet’s courtesy shuttle will bring you to your destination within the Inner Harbour (and drop you off within downtown Vancouver on the return flight). 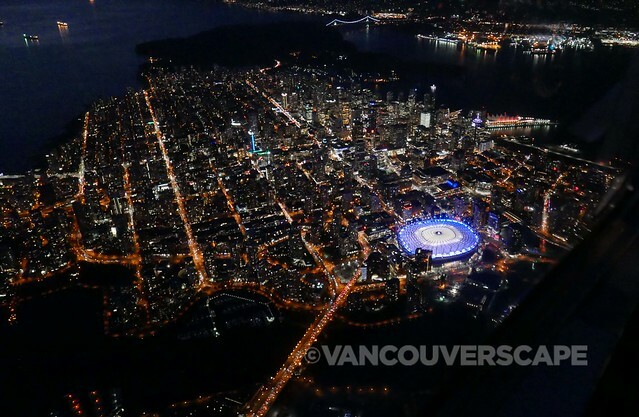 The advantage of shorter days ahead means flying home at night, with some amazing photo ops as the helicopter passes through Lions Gate Bridge towards Canada Place. I highly recommend Helijet for their friendly service as well as tasty nibbles, coffee and juices at the departure lounges. Check out Helijet online as they offer peak and off-peak pricing as well as packages and charter flights to many Lower Mainland regions. 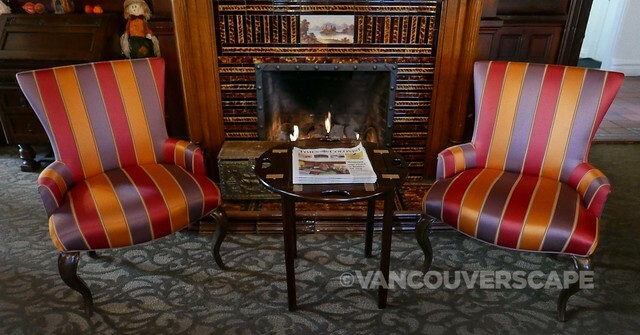 Helijet customers get 15% off food and beverage at the Fairmont Empress too. My stay at Pendray Inn and Tea Room was courtesy of Pendray Inn. Helijet flights were provided by Helijet. Opinions, as always, are my own.